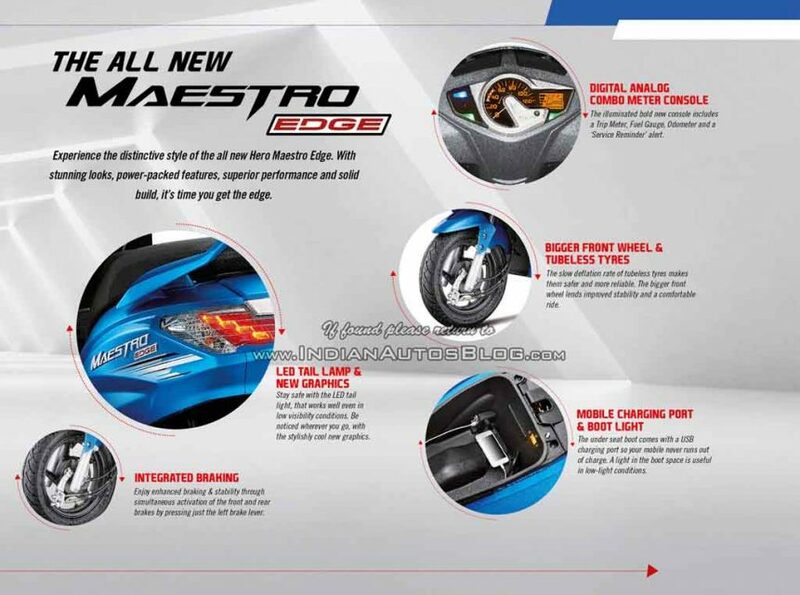 Hero MotoCorp is preparing to launch the new 2017 Maestro Edge that comes with several upgrades. Auto Headlamp On (AHO) has been made mandatory for the new two-wheelers in the revised safety rule by Government of India. The new Hero Maestro Edge gets the AHO and new colours as well with detuned power output and increased torque. 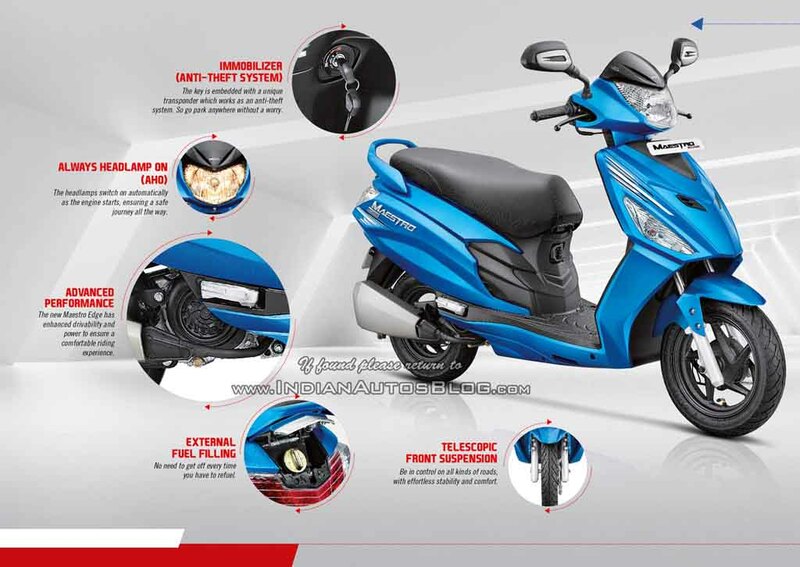 The Hero Maestro Edge comes as an updated and more attractive version of the Maestro scooter that was discontinued from the brand’s portfolio in January 2017. 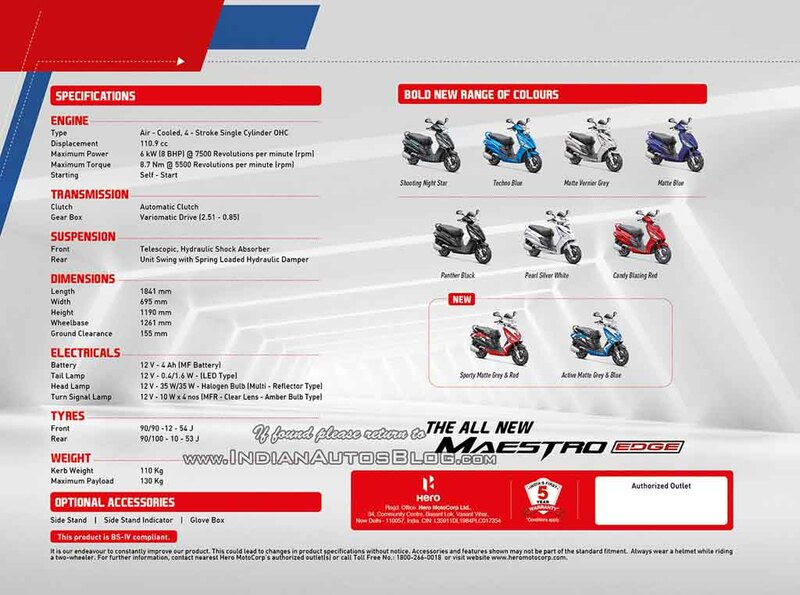 The Maestro Edge was Hero MotoCorp’s first indigenously developed scooter alongside the Duet. This scooter sports a large headlamp that has incorporated the AHO. Apart from that visually it looks attractive with the new sporty body graphics. It comes with analog and digital combo instrument cluster that certainly enhances the appeal of this model. Along with improved seat quality, it also sports LED taillight, underseat storage with mobile charging port and boot light. 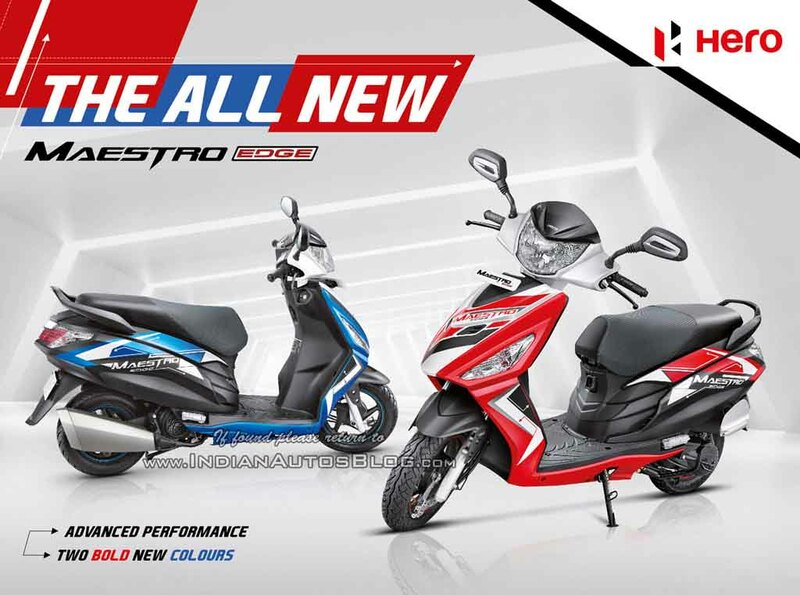 Hero has introduced two new dual-tone paint schemes to the Maestro Edge that are the Sporty Matte Grey and Red along with the Active Matte Grey and Blue. Apart from that the previously available seven different colour options are also available. The all-new 2017 Maestro Edge also comes with integrated braking system and tubeless tyres. The biggest update made to the scooter is in the engine. The 110.9 cc single-cylinder, air-cooled, OHC engine churns out 8 bhp of peak power at 7,500 rpm, that is down from 8.31 bhp at 8,000 rpm in the outgoing model. The torque output has been increased as the new Maestro Edge now generates 8.7 Nm at 5,500 rpm compared to 8.5 Nm at 6,500 rpm. So, the engine now reaches to its peak torque at lower rpm and comes with better fuel efficiency. Expect the engine to come with BS-IV emission norm compliant.